Learning to dive on Phi Phi is an excellent start to your dive career. The Andaman Sea is home to prolific marine life from corals to schooling juveniles to the Manta ray to the Whale Shark. The ocean floor gives rise to Phi Phi Island's extensive reefs, steep cliffs, granite walls and limestone hills. The transparent undersea provides the perfect opportunity for diving. In addition to all these factors, the availability of numerous dive schools on Phi Phi Island has made it a diver’s delight. 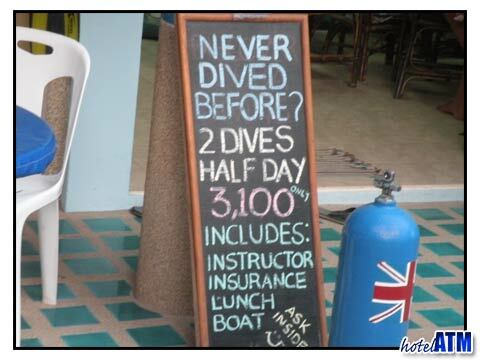 You don’t have to pre qualify or even know the basics of diving to start on Phi Phi. You will need to sign a health certificate and have a basic ability to swim. The dive schools on Phi Phi Island specialize in training beginners who have a flare for the water. There are a great number of dive sites concentrated in such a small area, thereby reducing your travel time from the bespoke dive pier to the reefs. Dive schools on Phi Phi Island will take you to these dive sites on their custom built boats or longtail boats. Dive schools on Phi Phi Island are open throughout the year and you can easily find one at Ton Sai Bay just around the main road. Most of the dive schools run SSI or PADI certified courses. If you are a beginner, you can go in for the ‘Discover Scuba Diving’ course. You can enroll your kid for the ‘Bubblemaker’ course. You can even venture into the open waters with the ‘Open Water Diver course’. Who knows, you may fall in love with diving and want to become an expert and train to become a dive master or instructor. 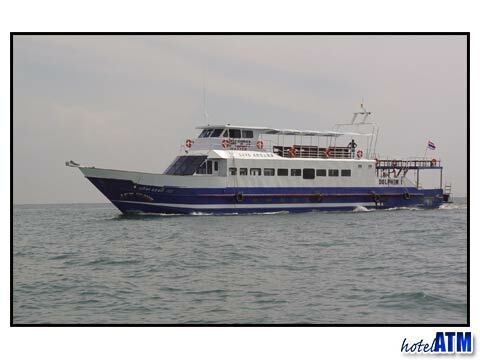 Moskito Divers is the oldest dive schools on Phi Phi Island however there are other good dive schools on Phi Phi Island like the Harlequin Divers, Island Divers, Visa Divers, Barrakuda Diving, Aquanauts Scuba, Blue View Diving, Viking Divers. All these dive schools have the required infrastructure, the best of equipment and trained teachers to make your diving experience safe and pleasurable. Also reef conversationalist and eco tour operator stands out: Andrew Hewitt’s The Adventure Club not only provides optimal adventure activities but also educates the thrill seeker about environmental issues. So as you dive your way through the stag horns and corals, play with the colorful fish that harmlessly sergeant major try to nibble you, swim past the purple-pink soft corals, octopuses, moray eels and manta rays, remember that dive schools on Phi Phi Island are ranked among the best in East Asia. The Phi Phi Island in Krabi Province of Thailand consists of five islands. Phi Phi Don is the only inhabited island among the six and is where the hotels and resorts are located and has become a haven for tourists from all over the world. A flight from Bangkok and a two hour boat ride, will get you to this exotic location. Phi Phi Island has almost every adventure sport you can think of. Apart from diving and snorkeling in Maya Bay, there is hiking, rock climbing, kayaking, cliff jumping and shark watching. You can also sun bathe on the beautiful beaches.